Lady Montdore is out to continue her faultless start to a North American campaign as she makes her G1 debut in the Flower Bowl Stakes over a mile and a quarter on turf at Belmont Park on Sunday, 7 October. The four-year-old Medaglia d’Oro filly has gained impressive victories on both her starts since switching to US-based trainer Tom Albertrani from France, most recently when making all to score by two and a half lengths in the 11-furlong G2 Glens Falls Stakes on turf at Saratoga on Sunday, 2 September. She also was the decisive winner of an allowance race, run over the same course and distance as the Glens Falls Stakes, on Monday, 6 August. Manny Franco, on board last time, takes the ride again on Lady Montdore, who breaks from stall two in a field of seven that also features G1 Beverly D Stakes runner-up Fourstar Crook and G2 Sheepshead Bay Stakes winner Holy Helena. 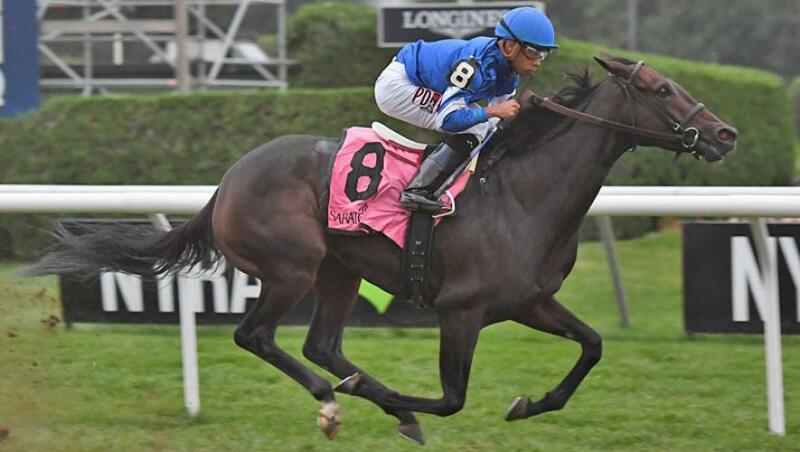 Tom Albertrani commented: “Lady Montdore has been training very well since the Glens Falls Stakes and we are looking forward to taking the next step with her. “She is dropping back a furlong, but we still feel confident that she will cope with this trip. “We are hoping that she can run well and can set up a challenge for the Breeders’ Cup Filly & Mare Turf (G1, Churchill Downs, Saturday, 3 November), which is back over a mile and three furlongs. “Lady Montdore is a versatile filly – she was able to race off the pace on her US debut and then inherited the lead in the Glens Falls Stakes, when there wasn’t much speed early on. “There might be a little pace up front this time, but, if not, we will let her run her own race again.